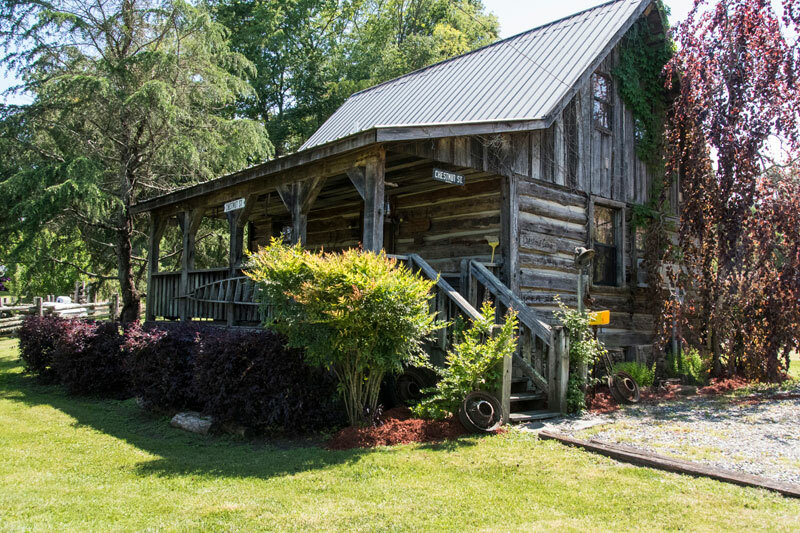 From its hardwood floors, handmade furniture and hand-hewn stairs to its antique decorations, this smoky mountain log cabin takes you back in time. 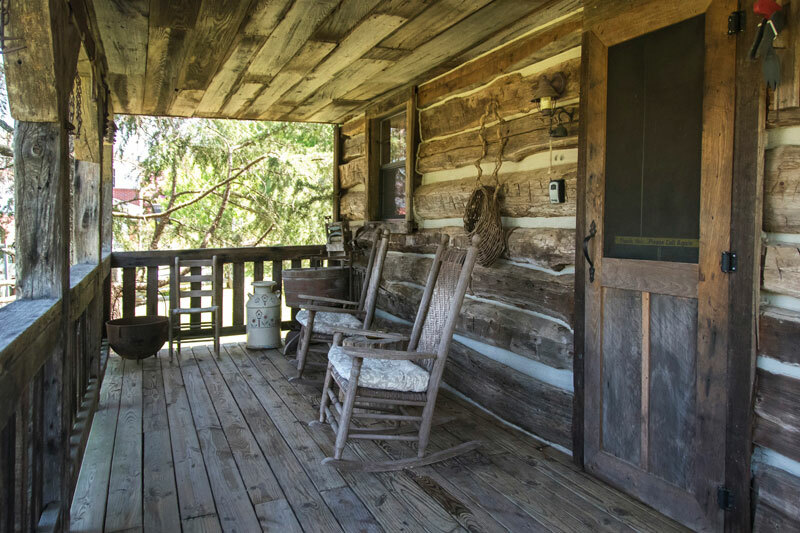 Sit on the porch a spell and enjoy the rockers and the view across Deep Creek Valley. Or roast marshmellows around the fire pit. 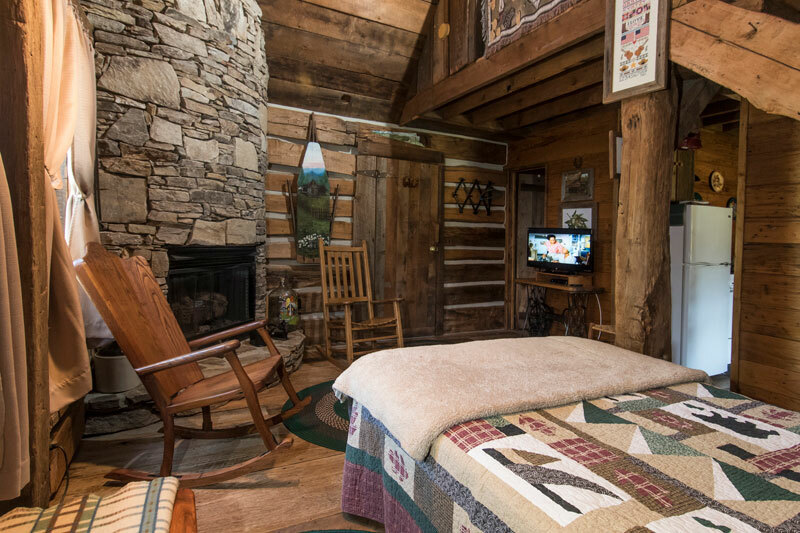 Inside this cozy cabin you’ll find a unique stacked stone half-round gas fireplace with rockers pulled up to enjoy the fire, or turned to enjoy the cable TV. 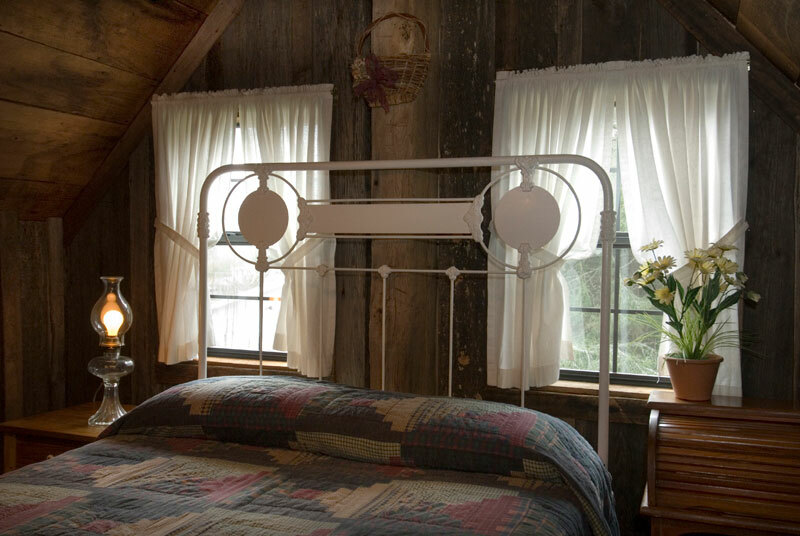 Downstairs, there’s a full-sized bed in front of the fireplace; and upstairs an antique, iron full-sized bed. There’s one bath with tub/shower, hair dryer, soaps and plenty of towels. 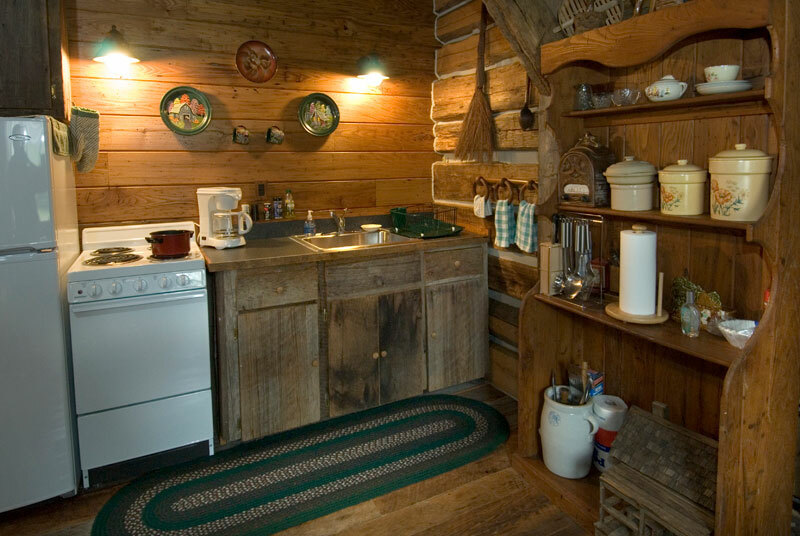 The kitchen may look old-timey, but it is equipped with stove, toaster oven, refrigerator, coffee maker and microwave. 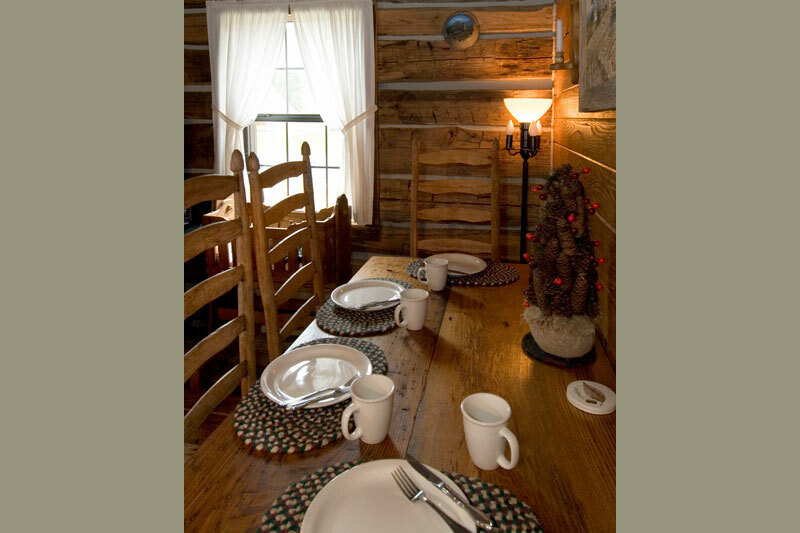 You’ll find all the utensils and you need for cooking and dining for four at the old farm table. 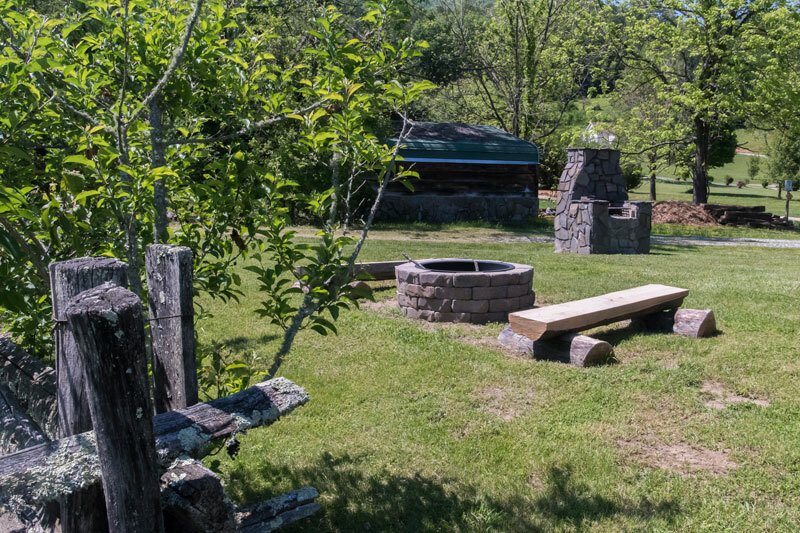 If you’d rather cook outdoors, there’s a stone outdoor barbeque grill for your use. Heated and air-conditioned. 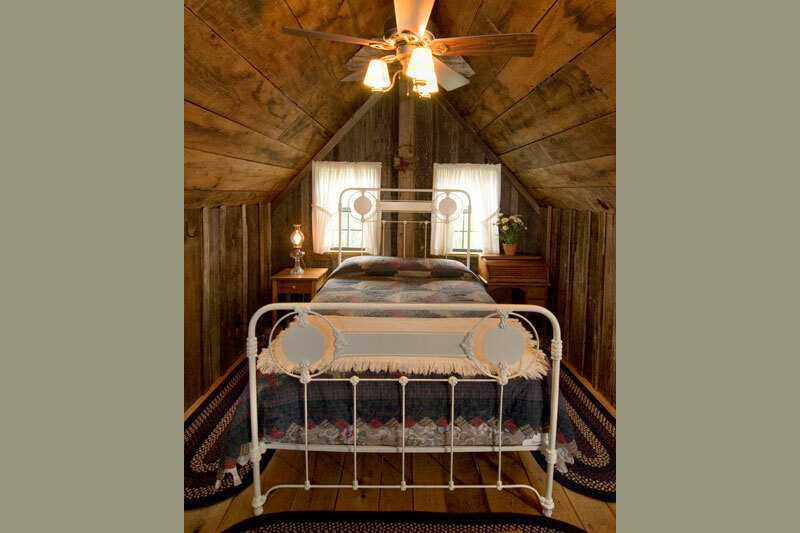 Ceiling fans. Maximum occupancy of 4. No pets. No smoking. 2-night minimum. 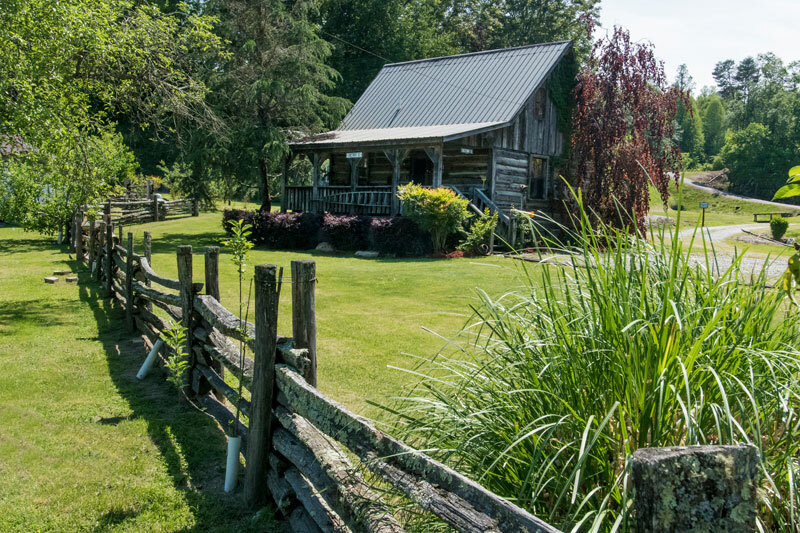 "Oh, what fun to stay in a place with such character. 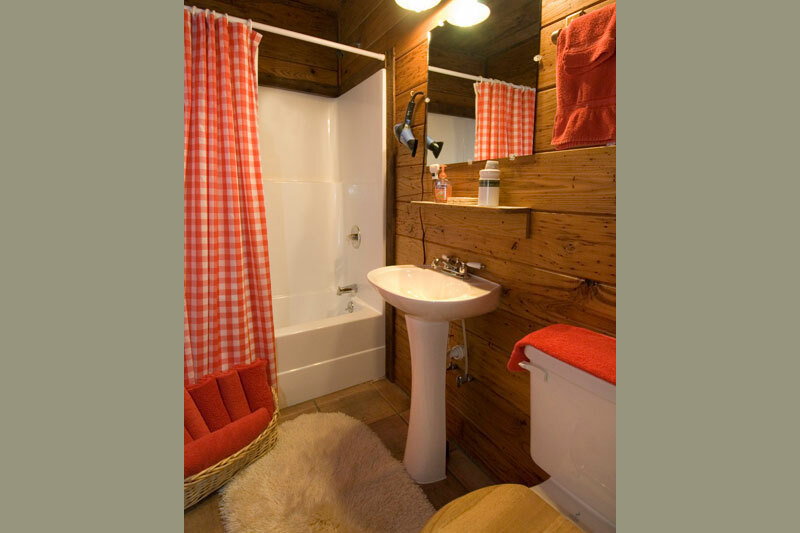 You have done a beautiful job with the Chestnut cabin, from the gorgeous handmade furniture and antiques to the red checkered curtains, and the wonderful smelly soaps. Our daughters were in heaven sleeping in the loft. They said they felt like Laura Ingles Wilder all week-end. 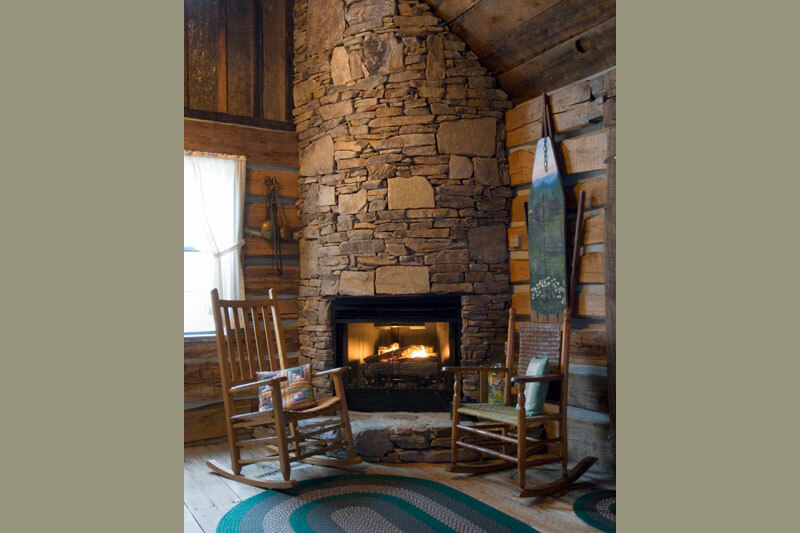 This is what one envisions when they think of a mountain cabin. We look forward to coming back soon."